I love travel - I feel like the amount of places I take you with me here on my blog makes that evident. This love to travel is because I'm definitely a curious person, and I'm always researching new places to go and things to see. Whenever I get a destination in mind or know I will be visiting somewhere, I take to the web! Look up things that interest you around the area you are in or within a few hours. Here's one of the recent places I visited (all on my own the first time) that was totally fueled by what I came up with in search engines. The internet is full of knowledge, but it can be really overwhelming. Here's what I have learned in terms of getting all the info that's organized, relevant, and good. Photos can be deceiving. I know it well, sometimes I look at the photos I've taken and I think 'man, that was actually a crap location/boring place, but we just found the perfect spot.' Don't trust the camera! Let it give you an idea of what you want to see, but research the place and some reviews before traveling there on a photo alone. 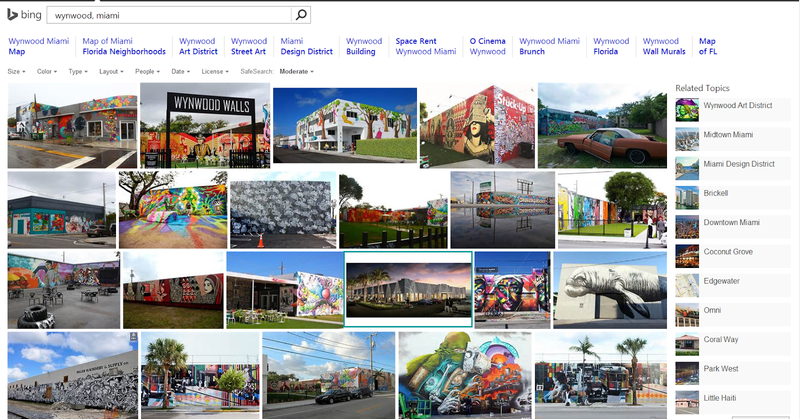 For instance, the photo outlined above in the middle of the results - it's a part of Wynwood, but it's not complete yet and the things inside are coming soon! Would have been disappointing if I thought that was an area of shops I was planning on spending time at. Be sure to dig deep. Getting a good idea of what is around the area will help you a ton. You won't get as lost, you'll have an idea of where you want to go, and won't waste time being stressed out that you are lost, out of place, or just don't know what to do next. 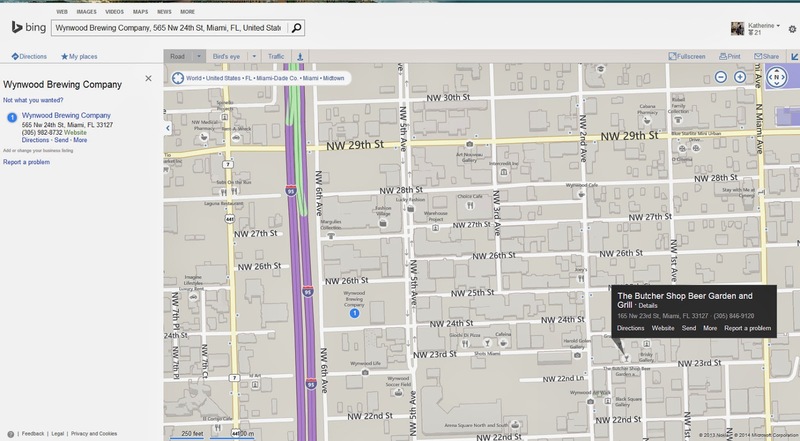 I like to check on a map what is around where the main place I want to go is. 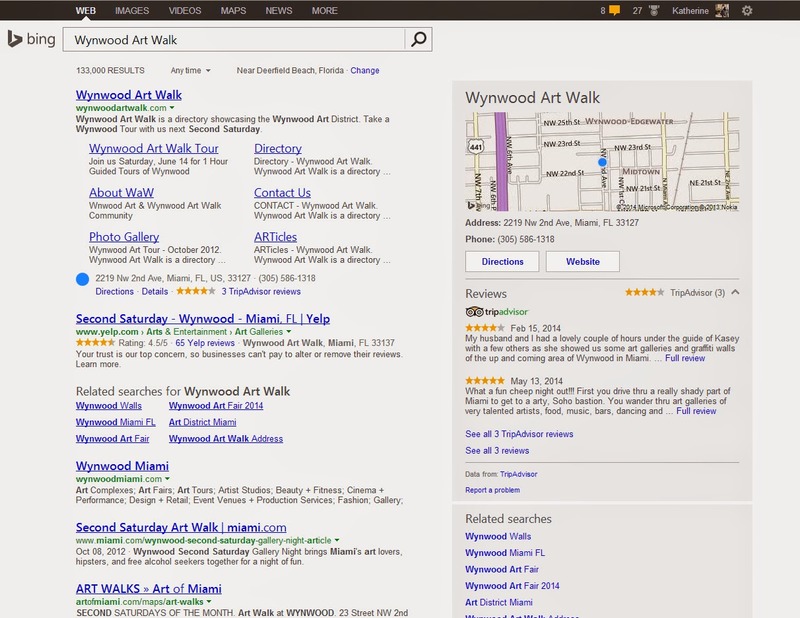 In this case, it was Wynwood Brewing. We ended up trying out the Butcher Shop, a nearby biergarten, on my last rip. But at the same time, be open to new places! Looking before hand helps because you can kind of get to know what streets you are going to be on. I suggest having a cell phone handy and walking around, but knowing the address of where you are parked in case you need to get back. I remember being in Philadelphia once and I had saved the location where we parked in my phone, but my phone died after dinner! I remembered because I had looked up the streets beforehand and was a bit more familiar than if I had come unprepared. This can be either because you want to join in OR because you want to avoid crowds. Don't make the mistake I made when we decided to get a hotel in Baltimore. I thought it was a bit pricey because it was a holiday weekend, but there was a NASCAR race in downtown Baltimore that weekend! A lot of the streets were blocked off and it was super crowded and hard to get around. Not great! How do you prepare for a big trip? I'm always searching for new sites, forums, and places to get inspiration from for my travel.